UFO SIGHTINGS DAILY: Baalbek In Lebanon: Megaliths Of The Gods Full Lecture, Why We Can't Build Them Today, Nov 2018, UFO Sighting News. 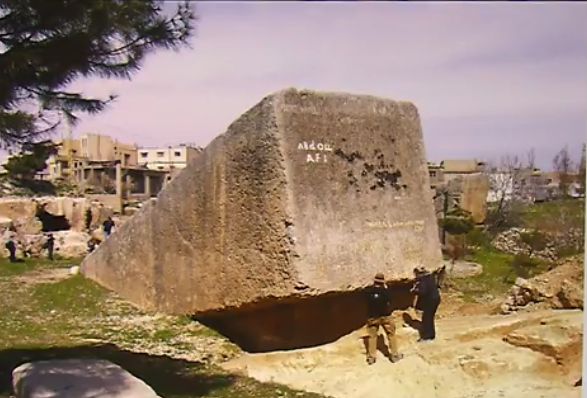 Baalbek In Lebanon: Megaliths Of The Gods Full Lecture, Why We Can't Build Them Today, Nov 2018, UFO Sighting News. This is a video by the famous Brian Forester. His analyses of different ancient structures, shapes, configuration are very thought provoking. He says these structures are impossible to have been made with primitive tools and methods. I have to agree, even with todays advanced technology, I highly doubt that we will ever see an actual 100% replica of the great pyramids ever built in our lifetime. The blocks of stone are too big, too heavy and too solid. Todays tech and machines are not use to such incredible weights and sizes. To build an Egyptian pyramid that matches in every way to the original...whole new tools, transportation, machines and methods would have to be invented. Today in 2018, we just couldn't do it.